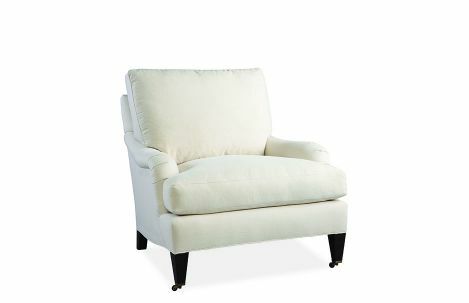 Custom upholstered chair with English arm and tapered leg. Loose back and seat cushion. Available in fabric or leather.